The Wallis Law Firm focuses primarily on elder law, estate planning, estate administration, guardianships, Medicaid and VA benefits, and business formation and advice in the Raleigh-Durham area. We are experienced attorneys who are knowledgeable and committed to the well-being of our clients. We can help you design a plan for your life, your estate, your security and your family’s future. We will craft a plan tailored to serve your unique situation and meet your needs. If you are suddenly ill, will your family have the tools to care for you? If you aren’t here tomorrow, will your family be provided for? Would they know how best to honor your wishes? Would your assets be protected? Just a few minutes can protect your family for a lifetime. Our attorneys will listen to you, help you understand your situation, and work hard to help you achieve your goals. 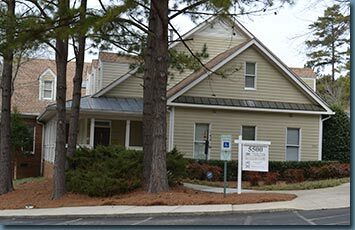 We’re proud to serve clients in West Raleigh, Southern Raleigh, Cary, Fuquay-Varina, Chatham, Harnett, Johnston and Durham Counties, and throughout the Triangle. Contact us today to get started.